Neighbors called the cops 53 times on a home in Chula Vista. But it took pure dumb luck for Border Patrol and the San Diego County Sheriff's to find out a human smuggling ring was operating there. Chula Vista missed chance after chance over five years to uncover a human smuggling ring. In early November, deputies from the San Diego Sheriff’s Department and Border Patrol agents stumbled onto it. They arrested 12 people, mostly undocumented immigrants. Local news jumped on the story, even filming the exact moment agents detained the suspects. The circumstances around the incident are remarkable. The deputies pulled over a vehicle for a taillight infraction, without suspecting that he was guilty of other crimes. Then the passenger took off. He led them directly to a home, where the deputies and Border Patrol agents – who had responded to a request for backup – happened upon an alleged smuggling ring. They even said they witnessed a human smuggling event taking place in the driveway. It sounds like how a crime might unfold in a TV show – but more like Scooby Doo than Hill Street Blues. Officials from both the Sheriff’s Department and the Border Patrol have said that’s just how it happened: It was purely random. And there is no evidence that that is not true. “It was kind of a lucky thing,” supervisory Border Patrol Agent Michael Scappechio said. If it was lucky, it’s because law enforcement missed something right in front of their eyes. The house in question is no stranger to local law enforcement. Police records show that 53 calls have been made to the home in the last five years. And those aren’t all for minor nuisance violations. Some include grand theft, assault, child abuse and domestic violence. 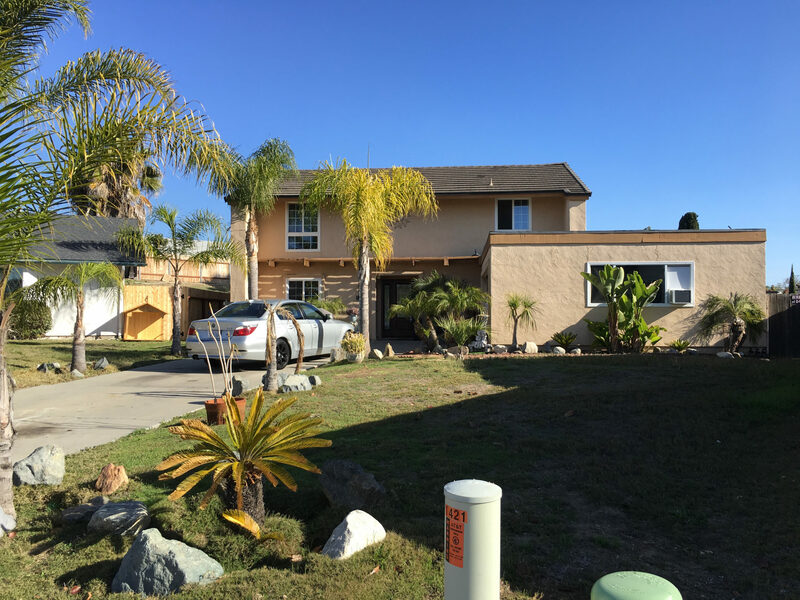 But despite the extensive criminal history, the Chula Vista Police Department – who also responded to the request for backup – says it didn’t have any indication that a human smuggling ring had been operating out of the home. Border Patrol’s role in the incident also caught my attention. It’s against policy for sheriff’s deputies to call Border Patrol agents for suspected immigration issues. But it’s perfectly fine for Border Patrol to respond to a call for backup. According to initial statements by both agencies, the suspect who fled on foot barricaded himself inside the house and was later forced to give himself up by the other individuals inside. But when I spoke to Agent Scappechio a couple weeks later, a new detail emerged. He said agents witnessed a human smuggling taking place in the driveway when they first arrived at the house. “When they rolled up and they interviewed the subjects in the driveway of the home, that’s when they determined it was a smuggling event occurring,” he said. Both agencies ended up making 12 arrests that day. Nine were taken in by Border Patrol, three of which face alien smuggling charges while the other six are being held in federal custody as material witnesses in the smuggling case. The Sheriff’s Department arrested the remaining three suspects – Fernando Salas, Daniel Garcia and Angel Garcia – for separate charges including resisting an executive officer, possession of methamphetamine, possession of metal knuckles and child endangerment. Not everyone is convinced it was sheer chance. “My hunch based on my anecdotal knowledge of Border Patrol and ICE practices and procedures is that they look for people as part of an immigration enforcement operation by looking for their cars,” she said. Jacobs said the Department of Homeland Security filed a report on one of her clients in which they spelled out that agents had been searching for his car, based on DMV records, when they eventually located him, pulled him over for a traffic offense and detained him. Thunberg, the CVPD lieutenant, said it isn’t rare for law enforcement to conduct a traffic stop, assuming they have probable cause, because they suspect the individual of a more serious crime.